In our last article for Modern Restaurant Management (MRM) Magazine, we discussed some of the critical lease provisions contained in a franchisee’s lease which, if not identified and properly negotiated, could have a material impact on the viability of a business. The provisions addressed in that issue – exclusive use protection, landlord’s consent to assignment and continuing liability thereafter, and the landlord’s right to participate in the sales proceeds – only scratched the surface. In this issue, we present three more highly important provisions, which are often mistakenly (or sometimes even intentionally) overlooked in the rush to finalize a lease and get it signed. From the landlord’s perspective, they don’t want a tenant to open another location that might adversely affect that tenant’s sales in the landlord’s shopping center which could adversely impact the tenant’s ability to meet its rental obligations under the lease. Leases are complicated legal instruments which can be fraught with peril for unsuspecting franchise owners. This provision, however, can have a detrimental impact on a tenant’s ability to expand, especially a franchisee tenant who may have a development agreement. Landlords who own multiple properties within certain geographic proximity often seek to include a covenant in their leases which restricts the tenant’s ability to open a same or similar business within a certain radius—all in an effort to limit the ability of a tenant in one plaza to impact sales of a competing tenant in another plaza. Such language may even place a franchisee in violation of his/her franchise or development agreement. For instance, we have seen leases with five mile restrictions on the sale of baked goods and coffee. This would severely impact a franchisee’s ability to develop and optimize its market. Landlords like to include language in their leases which gives them the ability to terminate the lease and recapture the premises if the tenant seeks the landlord’s consent to assign the lease. Landlords will argue that if the original tenant no longer wants or needs the premises, then the landlord should have the right (but not the obligation) to take the premises back and relet it to whomever they choose. This language can make a tenant’s pending assignment a risky, if not impossible, proposition. It is in the franchisee’s best interest to completely delete this language or, at a minimum, provide that the landlord doesn’t have the right to recapture if the lease is assigned to the tenant’s franchisor or to another franchisee. This is yet another reason why tenants want the right to assign the lease without the landlord’s consent in the first place. If the landlord doesn’t have the right to consent (or not), then it also doesn’t have the right to recapture the premises. The majority of franchisee tenants form single purpose entities (“SPE”), which have with no assets other than that particular store. If you default, your landlord wants to have someone from whom they can collect rent. This is why the majority of landlords require a franchisee (and, oftentimes, her/his spouse) to sign a personal guaranty. It is rare that a landlord will sign a lease with an SPE and not require a personal guaranty. If you must sign one, the key is to ensure that one or more of the following limitations are in your guaranty: (a) a stated cap on your maximum financial exposure (it can be a fixed dollar amount or, more commonly, limited to X months of rent at the then current rental rate, also known as a “rolling X month guaranty”); (b) a complete release of the guaranty when and if the original named tenant is no longer the tenant under the lease; and/or (c) the guaranty falls away completely after a period of Y years so long as there have been no defaults by the tenant during that time. Coincident with signing the guaranty, guarantors need to consider their exit strategy. If the tenant sells the store, the guarantor does not want to have continued personal exposure for the acts of a new, unrelated tenant party. For this reason, guarantors are wise to negotiate the Landlord’s release of the guaranty upon the tenant’s assignment of the lease. Naturally, landlords do not like to agree to this but it is worth a hard pursuit in the lease negotiation. A common compromise is to agree that if the assignee and/or its principals have an aggregate net worth of more than $X, then the landlord will release the original guarantor(s). However you slice the apple, make sure that you do not sign the guaranty without having a full understanding of your maximum potential personal exposure and if (or, ideally, when) you will be released from your guaranty obligations. Leases are complicated legal instruments which can be fraught with peril for unsuspecting franchise owners. Whenever you enter into a lease for a new or existing franchise restaurant, be certain you are represented by an attorney who is familiar with potentially dangerous provisions. 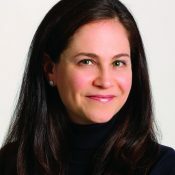 Karen Abrams is a Partner at Paris Ackerman, LLP. She represents tenants in the full range of their business matters including leases, financing, sales, acquisitions and business operating documents.